Miso, which has been best known until now as a rival to GetGlue in the ‘media check-in’ space, is setting itself apart from the competition by evolving into a ‘social TV platform’. The latest version of its iPhone app is designed to enhance the viewing experience with content tailored tot he program you’re viewing. Trivia, on-the-spot view polls and more will be accessible when users watch a supported show. The first series to take advantage of this new direction will be season six of Dexter, which kicks off in the US on October 2. TV network Showtime has partnered with Miso to provide an experience that works in sync with the episode you’re watching whether that’s at the time of transmission or later, via streaming or a recording. Relevant content is flagged up via push notifications, meaning that viewers don’t have to keep their eyes on the phone rather than the TV show itself. 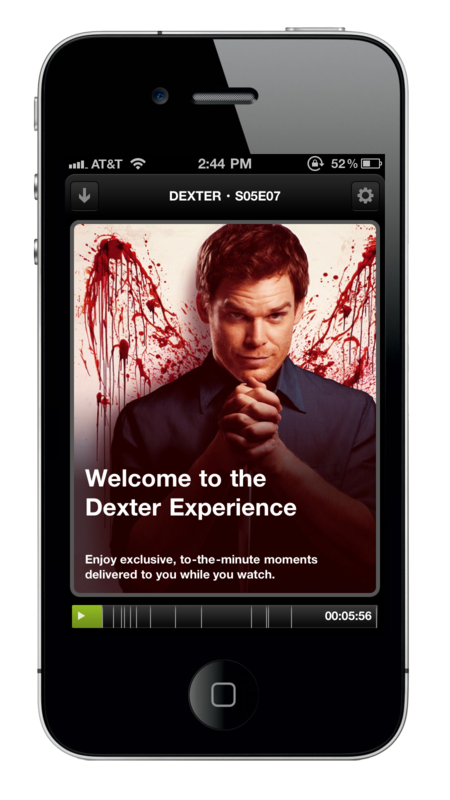 Features specific to Dexter include viewers being able to cast votes in polls such as “Who is Dexter’s next victim?” and share quotes from the show and receive alerts when their friends tune in. While these specific ‘second screen’ activities may seem a little lightweight, it’s clear that Miso is opening itself up as a canvas for broadcasters to offer new interactive experiences which could become really interesting if the right creative minds at the networks get involved. Miso’s Showtime partnership follows the recent announcement that DIRECTV HD customers would be able to check in to shows they watch automatically, as the Miso app can detect the show being watched using a connection between the set-top box and the iPhone over the user’s home WiFi network. 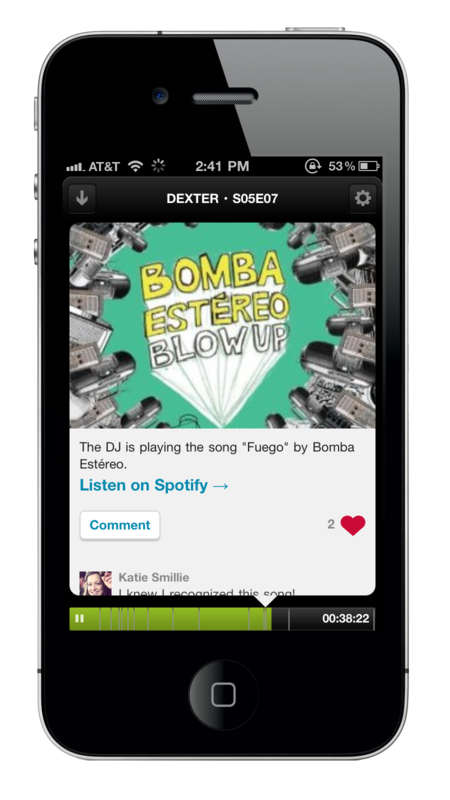 The following screenshots are mockups sent to us by Miso and aren’t necessarily exactly what viewers will see when they try the new version of the app with Dexter when the new season debuts on Sunday.